The 2018 Minnesota Fall Color Update is brought to you by Explore Minnesota and the Department of Natural Resources. This update is sent out each Thursday afternoon during the fall color season. 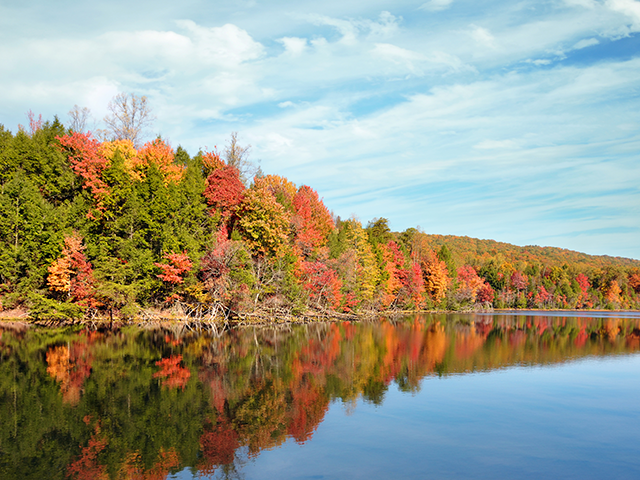 Before you travel, be sure to check the Fall Color Finder for the most current updates. Peak fall color typically arrives in the northern one-third of the state in mid-September to early October. The central third of the state is most colorful between late September and early October. Southern Minnesota trees reach the height of their fall color late September to mid-October. One exception is the North Shore of Lake Superior, where peak fall color arrives about a week later than inland areas due to the warming effect of the lake. The Hike MN Sweepstakes is underway now through Oct. 21, with an array of prizes available including Minnesota getaways and gift cards for Mall of America and Minnesota State Parks. For information on hiking in Minnesota and to learn about 10 must-see fall hikes, visit Hike MN.